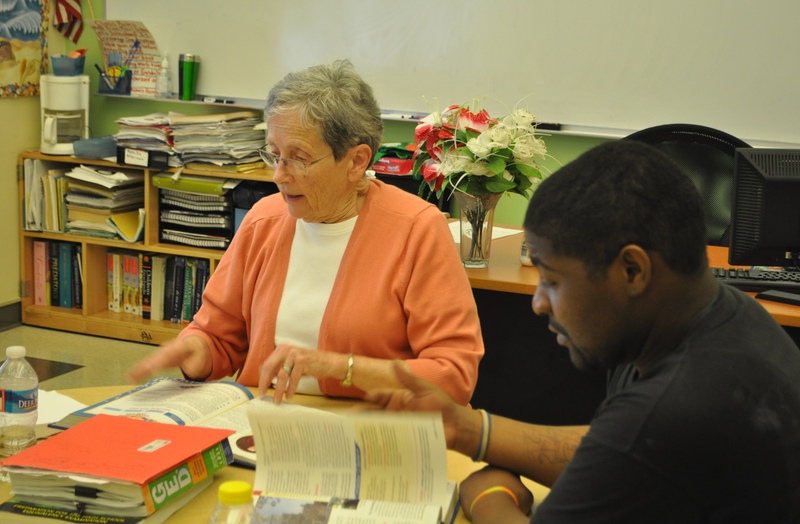 The overall goal of the Adult Education program is to provide a quality education to those who were not afforded one. We strive to help individuals get more education, see the value of improving their education and ultimately they test for and receive their GED. Learners graduate from the Adult Education program with the self-confidence necessary to succeed in higher education and the workplace. If you are seeking our services, we will work with you to achieve high school equivalency diploma and improve your quality of life, by guiding you to the appropriate places with the potential to enhance your career trajectory and more importantly, your daily life experience. We also offer assistance with college applications (essays, financial aid forms, etc. ), investigating other post secondary education opportunities, and matching participants’ job skills to job opportunities with our partners. If you are a learner under 19 years of age, we encourage you to return to school and complete your high school diploma. Anyone under 19 is ineligible to participate in the Mercy Adult Education program. To learn more about our Adult Education program, please contact Sr. Maureen Conklin, RSM at 215.227.4393 or using this form.